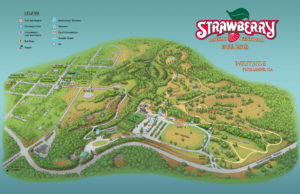 Strawberry’s Fall Festival in 2020 will be the 71st festival over 39 years time. Please note that there will not be a Fall Festival in 2019, with plans to return to Westside better than ever, in 2020. Read the announcement from November 15, 2018 to learn more. The Spring Festival will be held at the Nevada County Fairgrounds, on May 23rd – 27th, in 2019. There’s plenty of great space for car camping, with any size or type of vehicle, on 175 acres of tree-studded meadows, streamside clearings, and hillside plateaus. Westside is easy to get to, yet still off the beaten path. Amenities include potable water, hot showers, trash/recycle disposal, restroom facilities, clean portable toilets and hand-washing stations. There are numerous hiking and bicycling trails. Just a short distance away, in the center of Tuolumne, you’ll find nice parks, ball diamond, Tuolumne Veteran’s Memorial Hall, Tuolumne City Memorial Museum, and swimming pool for cooling off on warm days. Whether you come for an evening or make Strawberry your home away from home for the holiday, the Fall Festival is the perfect Labor Day weekend getaway. Shopping options include a variety of delicious cuisine, artisanal wares, plus instruments, accessory & repair. Click on the Fall 2018 Festival Map below to view close up. Take Hwy. 99 South to the Hwy. 120 East exit, heading towards Oakdale. Turn left onto East Hwy. 108 to Sonora. Take Mono Way Exit off Hwy. 108, then turn right on Mono Way. At the first light, turn right onto Tuolumne Road and follow the signs 8 miles to Westside. Take Hwy. 99 North to the G Street Exit 187A. Turn right onto G Street and continue onto Snelling Road. Turn right onto Hwy. 59 North and then turn left onto La Grange Road (signs for County Road J59/Don Pedro Lake). Turn right onto Hwy. 108 East/120 East and continue to Sonora on Hwy. 108. Take Mono Way Exit off Hwy. 108, then turn right on Mono Way. At the first light, turn right onto Tuolumne Road and follow the signs 8 miles to Westside. Take Hwy 80 to Elm Avenue in Auburn and take Exit 119C. Make a sharp right onto Elm Avenue, then turn left onto Hwy. 49 South/Eldorado Street. Stay on Hwy. 49 South to Sonora and turn left onto Hwy. 108 East. Take Mono Way Exit off Hwy. 108, then turn right on Mono Way. At the first light, turn right onto Tuolumne Road and follow the signs 8 miles to Westside. 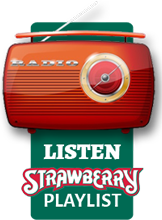 Best Western Plus Sonora Oaks Hotel & Conference Center is offering Strawberry goers a great deal on lodging! Order by phone and use the code “Strawberry 2017” to get a 15% discount on lodging, with a two nights minimum stay. The staff is so friendly, the rooms are nice, there’s a swimming pool, and there’s a wonderful restaurant/lounge on site. It’s a quick and easy 4-mile drive from the festival to your comfortable accommodations at Best Western Plus Sonora Oaks. Search here for lodging options near the Fall Festival taking place at Westside in Tuolumne, CA.